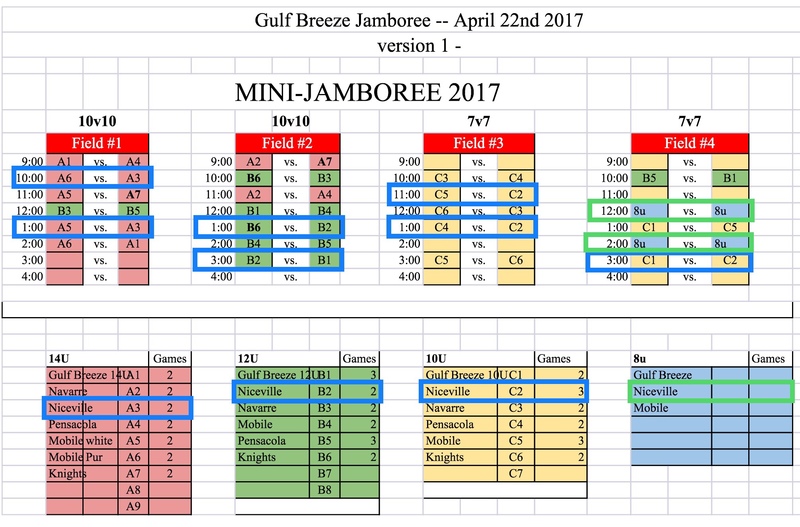 Gulf Breeze Youth Lacrosse is excited to be hosting games this weekend. The fields will be pretty close together and a little small, but I think we have it figured out how to accommodate everyone in the same location. There are a lot of things going on in the area, so traffic could be heavy at times. Plan accordingly. Food: Rocky D's BBQ & Blues and Pop Brothers (Artisan ice pops) will be on site. GBSA will be selling drinks, snacks, and shirts. Other things: Fastest shot competition with prizes, 50/50 raffle. 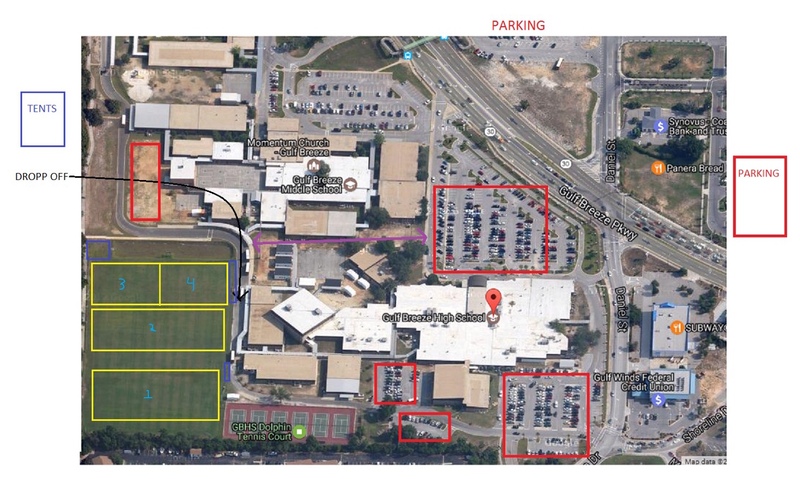 If you need to drop stuff off, please see map on how to do that, just be cautious on the number of people in the area. We will run on a central horn with 22minute halves, 5 min half time. 1 time out per half, none in last 5 minutes of game. All other US lacrosse and/or GCLC rules apply.